Lovely Pocket Diapers is committed to providing adorable, high quality pocket diapers at a fraction of the cost of normal retailers. They want to make cloth diapering fun and inexpensive for every family while reducing the amount of disposable diaper waste in our landfills. Lovely Pocket Diapers offers pocket diapers in a rainbow of colors and some cute prints! Each diaper includes one triple-layer microfiber insert. I received a Lovely Pocket Classic in Tiger print. The fabric is minky fabric so that was definitely something I was happy to see when I opened the fluffy mail! The Classic features a single row of waist snaps. Lovely Pocket Diapers recently introduced a new line, the Rave cloth diaper, that features a double row of waist snaps. Lovely Pocket Diapers only come with snap closures so if you’re an aplix fan, these are not the diaper for you! The Classic offers 3 rise snaps while the new Rave offers 4 rise snaps. The Rave also features double leg gussets which the Classic design does not. There are definitely some important differences in the two lines, so you will have to decide which might be best for you. Lovely Pocket Diapers are one size pocket diapers, so you do not have to worry about trying to figure out which size is best for your baby. Once you have your diaper, you can adjust the rise snaps on the front of the diaper to get the best rise for your little one. 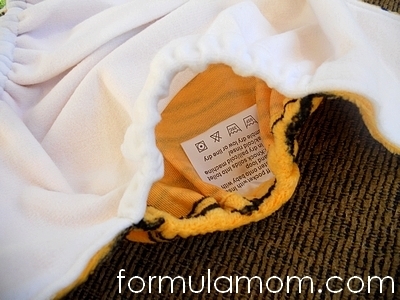 The inner lining of the Lovely Pocket Diapers is microsuede that is not supposed to pill. We have washed this diaper a few times since receiving it and it has not pilled yet. So far, so good! The design is fairly typical of other pocket diapers I have, including some that retail for much more than the Lovely Pocket Diapers! The pocket opening on the Lovely Pocket Diapers is big enough to get the insert in if you fold it up a bit. I’m learning that I prefer diapers with bigger pocket openings but only if they have elastic along both sides of the pocket. I would prefer the opening be a bit bigger on this diaper, but that is just me being picky because it works just fine! I also appreciate that it has the elastic on both sides of the pocket so the pocket doesn’t just gape open in the back. The double elastic is not something I always find in the lower priced pocket diapers so this was nice to see. W is on the middle snap in this diaper so we definitely have room to grow in this diaper which is what I would expect from a one size diaper at this point. It’s always nice to have that confirmed! The snap placement on this diaper worked well for us also and I felt I was able to get a very good fit with these snaps. The diaper isn’t too tight but there isn’t any gaping either. The muffin top isn’t too bad either! I was also able to get a good fit around his thighs so if we ever have a dirty diaper in this diaper, I’m not too worried about anything escaping. We haven’t tested the diaper in this way quite yet! The diaper left some marks on his legs, but they weren’t red. They were just from the fabric on the legs and they didn’t seem to bother W at all. The photo below shows the fit from behind. I feel like this photo makes the diaper look a bit bulkier than it actually is when W is wearing it. This photo does show how well it fits around the back at the waist. The photo below shows the fit better. This was taken a few weeks ago and the outfit is a Carters onesie that is size 6 months. At the time of the photo it was starting to get a bit snug on him and we have now retired the outfit. You can see that the Lovely Pocket Diaper fits well underneath this outfit. Many of our other diapers made it difficult to snap the snaps between the legs in this outfit but the Lovely Pocket Diaper fit well. Overall, this is a very nice diaper considering the low price. I have a number of other low price diapers and have liked some and disliked others, so it’s nice to find another diaper that falls into the like category. I hope to have the opportunity to try the new Rave diaper as I like all of the new features and the Classic has worked very well for us. If you’re looking for a very low price diaper, I would recommend trying out a Lovely Pocket Diaper. For the price, you can’t go too wrong even if it doesn’t work out for you! Plus, you can get a minky diaper or a cute print and that’s definitely a selling point for me (because I do love that perk of using cloth) that just adds to the great deals available at Lovely Pocket Diapers. You can purchase these diapers at the Lovely Pocket Diapers website. Classic solid color pocket diapers are $7 and the Classic print cloth diapers are $7.50. Additional inserts can be purchased for $2.50 each. Rave solids are available for $14 while the Rave prints are $12.50. So there is a definitely price difference although both designs are extremely affordable! Melissa at Lovely Pocket Diapers is offering a Summer Special too! If you buy 6 diapers, you get a 7th free! If you bought 6 solid Classics with the 7th free, they would only be $6 each! Disclosure: I was sent a Lovely Pocket Diapers Classic pocket diaper and insert for review and Lovely Pocket Diapers is responsible for the giveaway prize. I was not compensated in any other way for this review and all opinions are my own. Formula Mom’s full disclosure can be found here. Facebook is not associated with this giveaway in any way. 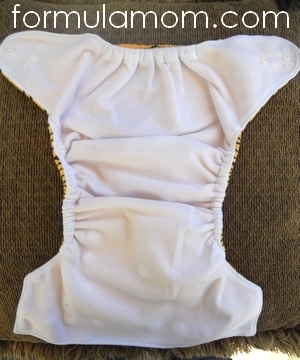 « Summer Fluffin’ Affordability: Sew Your Own Cloth Diapers! public GFC follower of Formula Mom. Like Lovely Pocket Diapers on Facebook. I love the blue zoo diaper. I entered an AMP giveaway. I entered your Motherease giveaway. I would choose the pink love monkey or one of the pink heart prints…adoreable!!!! I like Lovely Pocket Diapers on FB!!! I follow Formula Mom via GFC!!!! I would chose Giraffe (Fuzzy) if I won. I would choose the rings print! I would choose the Rings pattern if i won! I would choose the blue zoo if I win! I like Lovely Pocket Diapers on fb! I follow Lovely Pocket Diapers on twitter! I entered at Tales from the Nursery! My favorite Lovely Pocket Diaper Print is Rings. I entered your Mother-ease giveaway. I entered your Best Bottom giveaway. I entered the Lovely Pocket Diaper giveaway at Tales From The Nursery. I’d choose the rock print! I love the fuzzy giraffe! I love the white hearts fuzzy diaper. I like Lovely Pocket Diapers on FB. I would choose the “Rock” print! I like Lovely Pocket diapers as Jess Toothman on facebook and thanked them. I follow Lovely Pocket diapers on twitter as @Jtooth12. Ii love the blue monkey print. I gfc follow formula mom as adrianna peterson schnell. Like formula mom on fb. I like lovely diapers on fb. I love the Fuzzy Cow Print! I love the green with stars! I like lovely pockets diapers on facebook. I follow lovely pocket diapers on twitter. Third entry for subscribing via email. Entry 5 for being a Network blog follower. Liked Lovely Pocket Diapers on Facebook! Following Pocket Diapers on Twitter. I entered to win the Envibum giveaway! I entered to win the Mother-ease Sandy’s giveaway. I think I’d choose the Dark Green color! I would love to try the Rave diaper, in the Aqua blue!! I liked Lovely Pocket Diapers on Facebook! I entered your itti bitti d’lish AIO giveaway. I entered your Thirsties Duo Fab Fitted & Duo Wrap giveaway. I entered the Lovely Pocket Diapers giveaway at Tales From the Nursery. I voted for Formula Mom on Picket Fence Blogs. I would pick the Rings print if I won!! I follow you on GFC, Mehera Ortiz. I like Formula Mom on Facebook! I like Lovely Pocket Diapers on Facebook! I commented on your Nighttime Diaper Options Post! I commented on your Sash Post! I entered your FuzziBunz Giveaway! I entered your Beset Bottoms Giveaway! I entered your Thirsties Giveaway! I entered your WallyPop Giveaway! I entered your AMP Giveaway! I entered your IttiBitti Giveaway! I entered your MotherEase Giveaway! I entered your Mini Maestro Giveaway! i would love the giraffe print. commented on Summer Fluffin’: Using Cloth While Out & About. commented on Summer Fluffin’ Affordability: Buying Seconds/Clearance. commented on Summer Fluffin’: Are AIOs (All-in-Ones) All They’re Cracked Up To Be? I would probably choose either the red or black diaper. I follow using Networked Blogs (my Facebook name is Andrea Grupe in case you need it). I like Lovely Pocket Diapers on Facebook as Andrea Grupe. I entered the Bum Luxury Summer Fluffin’ giveaway as Andrea G.
I entered the Best Bottom Summer Fluffin’ giveaway as Andrea G.
I entered the Thirsties Summer Fluffin’ giveaway as Andrea G.
I entered the Wallypop Summer Fluffin’ giveaway as Andrea G.
I entered the AMP AIO Summer Fluffin’ giveaway as Andrea G.
I entered the itti bitti Summer Fluffin’ giveaway as Andrea G.
I entered the Mother-ease Sandy’s System Summer Fluffin’ giveaway as Andrea G.
I entered the Envibum Summer Fluffin’ giveaway as Andrea G.
I entered the Sprout Change Summer Fluffin’ giveaway as Andrea G.
I commented on the Summer Fluffin’ post Formula For Our Stash as Andrea G.
I commented on the Summer Fluffin’ post Doing the Cloth Diaper Laundry as Andrea G.
I commented on the Summer Fluffin’ post Sew Your Own Cloth Diapers as Andrea G.
I commented on the Summer Fluffin’ post Stuff My Fluff as Andrea G.
I commented on the Summer Fluffin’ post Cloth Diaper Trials as Andrea G.
I commented on the Summer Fluffin’ post Mix and Match: Fun With Covers and Fitteds as Andrea G.
I commented on the Summer Fluffin’ post Buying Seconds/Clearance as Andrea G.
I commented on the Summer Fluffin’ post Are AIOs All They’re Cracked Up to Be? as Andrea G.
I commented on the Summer Fluffin’ post Buying New For Less as Andrea G.
I commented on the Summer Fluffin’ post Nighttime Diapering Options as Andrea G.
I commented on the Summer Fluffin’ post Buying Used as Andrea G.
I commented on the Summer Fluffin’ post Using Cloth Out and About as Andrea G.
I commented on the Summer Fluffin’ kickoff post as Andrea G.
I entered the Lovely Pocket Diaper giveaway at Tales From the Nursery as Andrea G.
I would choose the Giraffe print if I won. 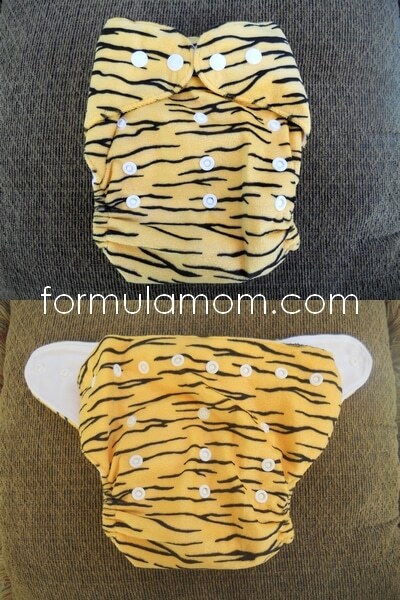 entered Summer Fluffin’ Review & Giveaway: Thirsties Duo Fab Fitted & Duo Wrap. Formula Mom FB follower – Kimberlie S.T. Lovely Pocket Diapers FB fan – Kimberlie S.T. I entered your rockin green giveaway. I entered your Mini Maestro diaper giveaway. I entered your ittibitti d’lish giveaway. I follow LPD on FB.